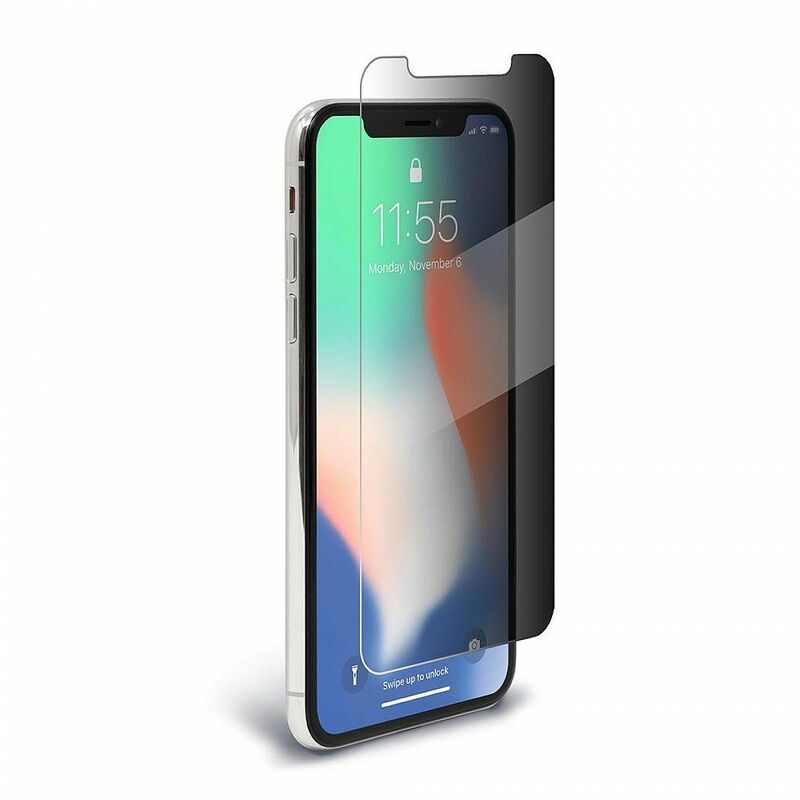 BodyGuardz SpyGlass allows you to access confidential information on your Apple iPhone X with complete discretion. SpyGlass is an aluminosilicate tempered glass screen protector that works to protect your device in two ways. First, our aluminosilicate tempered glass is designed to absorb the impact of a drop and is stronger than soda-lime glass. This decreases the likelihood of a scratched or cracked screen. Second, a two-way privacy film is incorporated into the glass to obstruct the view of your screen from onlookers. You can now protect your sensitive data from those around you while on your device. This introduces the perfect solution for those who work from their phone, need to pull private information, frequent condensed public areas or travels and need privacy from outside eyes.